Freelance writing is a big trend now especially as new doors for blogging and freelancing have opened many opportunities. Writing is very satisfying and good money earner as the demand has gone up recently. You can opt for many opportunities like guest posting, writing articles for magazines, staff writing etc. Some might argue that writing as a job might require a prior qualification. There are many who are steadily creating income by writing. What surely counts is you should know what you are writing about, if you are good at gardening, then write a guest post about gardening in a gardening website and you would be paid for it. But if you write about something you are not sure of, then there are very good chances that your work will not be paid for or not get accepted at all. It does require you to hone your skills of being more creative, grammatically correct and mind some rules when writing but all that gets better with time if one is interested in this field. You can find the jobs on boards like Problogger, TheWriteLife. I am quite happy that I started this side hustle along with my work-at-home job. 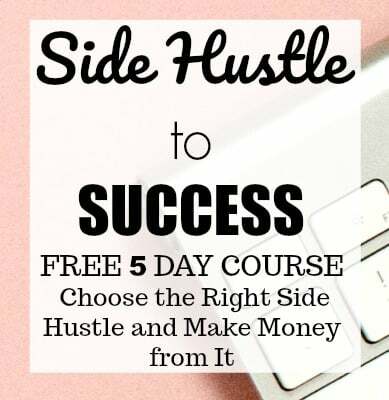 The biggest plus of this flexible work-at-home online hustle is the possibility of having a high income. I am currently earning around $4000 with my blog, and all this is along with my job. 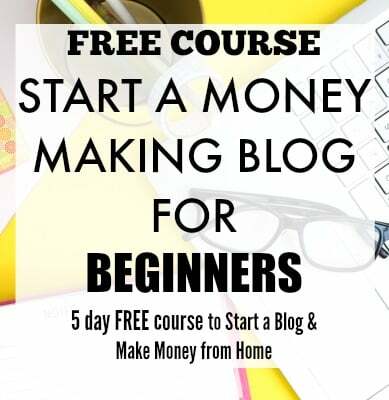 There is no need for any technical knowledge, just follow this step-by-step guide and start your blogging hustle. This is a relatively new area which has become very popular and does not require any expertise. Rating websites and analyzing them sounds very technical but in fact, it is a very easy and simple process. A basic understanding of Internet, Web Pages, and adaptable nature can get you this job. You will have to follow certain guidelines which will differ slightly according to the company but the common point would be, if you are able to understand and adapt to the given set of parameters then doing this job is quite easy. Companies like Leapforce, Lionbridge and Appen Butler Hill advertise jobs in this area. What does a virtual assistant do? Pretty much lots of things, like documents filing, doing social media management, email management, assistance in writing ebooks etc. A Virtual Assistant does everything what a Personal Assistant does. You would need to be tech savvy, have good communication skills and should be good at researching, but it’s not something which comes with a degree or a qualification. If you know your way around the web and are a good self learner, you can do this job. You can find potential VA jobs at Elance. If you are confused about the services you can offer as a VA, check out this Gina Horkey’s FREE massive list of 150 VA services. Her courses have helped over 300 people become Virtual Assistants in past few months. This job does require some prior experience but it can be overlooked if you have good demeanor and good communication skills. This is not a line of work which is hard to cut in, it does require you to hone your skills for communication. And the good news is, there are many online customer service jobs even from big companies like Apple (Apple at Home Advisors), Hilton, Convergys, etc. You can find many other customer service jobs at forums like Workplacelikehome, WAHM. Website testing has been around since a long time. So who is a Website Tester? Website Testers are people who go around websites to check if everything on the site is working well and functioning properly. You would need to be a little bit tech savvy but that is just being able to get around the web and know how to use headphones etc. There are many companies which require website testers like Usertesting, Testbirds, Whatusersdo, Analysia, etc. Different companies have different pay scales for the testing. Crowd worker or micro task workers is a group of people who work on micro tasks. These are usually pay per task kind of work which will vary according to the company. You do not need any expertise for this kind of work as it based on the guidelines provided by the employer and which are not definitely hard to follow. The companies which offer this kind of work are Amazon’s Mechanical Turk, Lionbridge Crowd Worker, Appen Butler Hill, Clickworker. Basic quality of the researchers of any kind would have a keen eye for detail, have loads of patience and know their way around web. Freelance researching gigs vary largely according to the projects and are advertised on many websites like Upwork, Fiverr, etc. Telephone researchers should have a way with conversation as the main work is on the phone. The projects may vary from big companies to small gigs on crowdsourcing websites. You can find telephone researcher positions on job boards as well. You will also find some work-at-home jobs in remote category of Indeed and some legitimate hourly paid part-time jobs at Snagajob. Apart from the jobs listed above, there are many other jobs which would not require any kind of expertise but would require you to follow some rules, acquire some basic knowledge about how things work. I will be updating new work opportunities as they come so do keep the post bookmarked. Are there any more work from home jobs which can be done without any expertise? Thanks for sharing more dets about freelance writing! I’ve just recently started pushing for a career in this field, so any resources are amazing! Glad you found this post helpful. Best of luck for your new career.